A City of Hope-led study found that the use of low-dose aspirin (81mg) reduces the risk of breast cancer in women who are part of the California’s Teacher’s Study. This study — which is the first to suggest that the reduction in risk occurs for low-dose aspirin — was proposed by City of Hope’s Leslie Bernstein, Ph.D., professor and director of the Division of Biomarkers of Early Detection and Prevention, and published online in the journal, Breast Cancer Research. Bernstein and her colleagues saw an overall 16 percent lower risk of breast cancer in women who reported using low-dose aspirin at least three times per week. Such regular use of low-dose aspirin reduced the risk by 20 percent of estrogen or progesterone receptor positive, HER2 negative breast cancer, which is the most common breast cancer subtype. 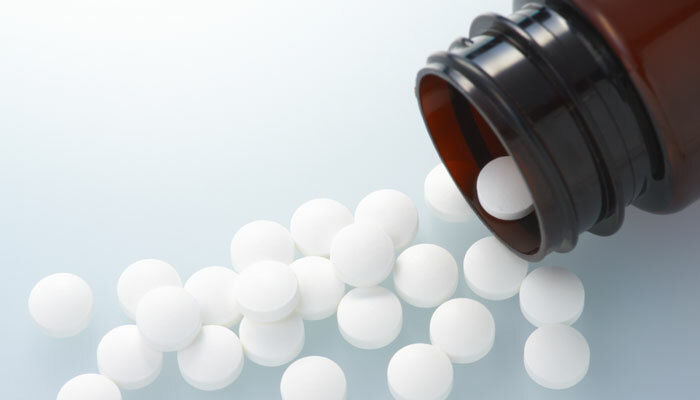 This study differed from other studies that have looked at aspirin and cancer risk because it focused on the dose levels of the aspirin women had taken and tracked the frequency of the use of low-dose aspirin as opposed to regular aspirin. It was also able to look in detail at subtypes of breast cancer. As part of the study, researchers analyzed data recorded in questionnaires submitted by 57,164 women in the California’s Teacher’s Study. In 2005, participants answered questions regarding family history of cancer and other conditions, use of aspirin and other nonsteroidal anti-inflammatory drugs (NSAIDS), menstrual and reproductive history, use of hormones, weight and height, living environment, diet, alcohol use and physical activity. In the ensuing years before 2013, 1,457 of these participants developed invasive breast cancer. The team of researchers chose to focus on low-dose “baby” aspirin, because not only is it inexpensive and readily available as potential means of prevention, but because there are already a lot of people already taking it for prevention of other diseases such as heart disease and even colon cancer.